Author of Dorothy Parker: What Fresh Hell Is This? Marion Meade is an American biographer and novelist, whose subjects stretch from 12th-century French royalty to 20th-century stand-up comedians. She is best known for her portraits of literary figures and iconic filmmakers. 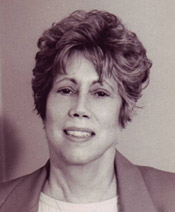 Marion Meade is currently considered a "single author." If one or more works are by a distinct, homonymous authors, go ahead and split the author. Marion Meade is composed of 3 names. You can examine and separate out names.